An International Steering Committee representing a balance of interested parties is overseeing the REDD+ SES initiative at the international level, including representatives of government, Indigenous Peoples, community associations, environmental and social NGOs and private sector. The majority of committee members are from countries where REDD would be implemented recognizing that developing country governments and civil society should lead the adoption of the standards. The International Steering Committee oversees the standards development an the process for their use in countries, providing strategic orientation and approving content and process at each stage. The International Steering Committee is also responsible for the governance of the whole initiative, ensuring that it adheres to best practice for the development and use of international social and environmental standards. The role, functions and functioning of the International Steering Committee are defined in the Terms of Reference of the International Steering Committee. In March 2015, Henrietta Boyd from Permian Global, UK joined the ISC Committee as a private sector representative. 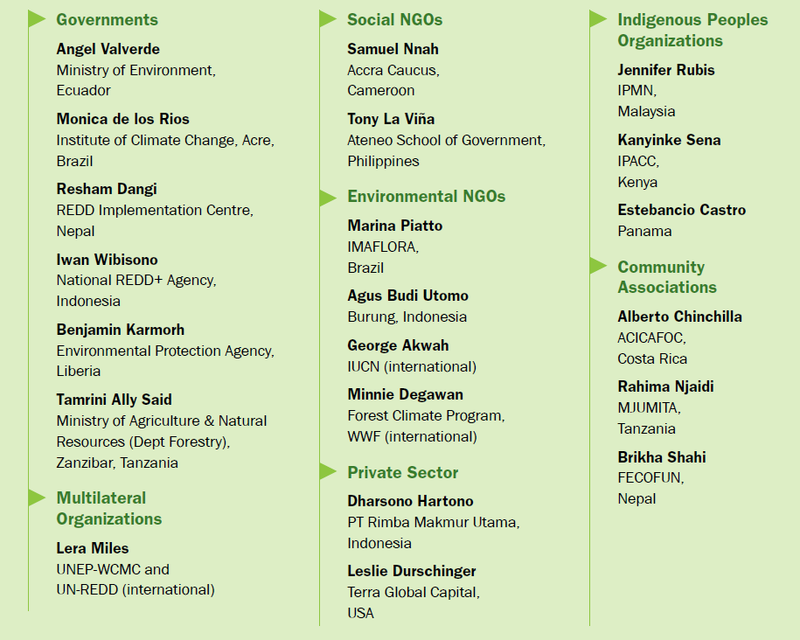 The Climate, Community and Biodiversity Alliance (CCBA) and CARE International serve as the international secretariat of the REDD+ SES Initiative with technical support from the Proforest Initiative and Country Safeguards Approach. The international secretariat provides technical support and capacity building to country facilitation teams who facilitate the development and implementation of Country Safeguards Approach and Safeguards Information Systems.